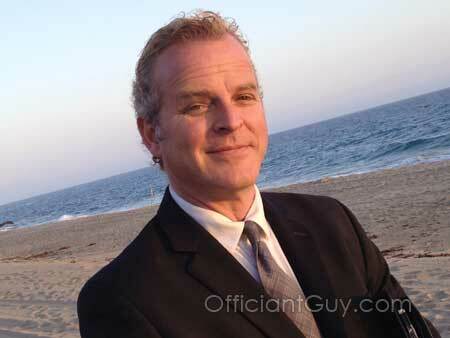 My name is Chris Robinson and I also have another popular website called Officiant Guy. a father to three children. The Los Angeles County Recorder has authorized me to issue California Confidential Marriage Licenses and I have a close working relationship with the County Clerk’s Office. I always have extra marriage licenses on hand for last minute weddings. Since legal paperwork and the law is second nature to me I can assure you that precision of your marriage license paperwork is something that is very important to me. The County Clerk’s office is very particular and the information that is on your marriage license must be exact or the County Clerk’s office will not accept it. I personally hand deliver every completed marriage license and certificate to the County Clerk’s office so that it is timely, verified, and can not be lost or delayed in the mail. The Los Angeles County Clerk’s Office will then issue a certified marriage certificate in a number of weeks.